the eyes, puffy eyelids or under-eye sagging. Eyelid Surgery recontours and reshapes the upper and/or lower eyelids by trimming away excess skin and fat from the eye area creating a more youthful appearance. Sydney Plastic Surgeon Dr Barnouti pays close attention to the preoperative condition of your eyelids and bone structure to create a natural appearance through eyelid surgery and prevent an “operated look”. Our excellent eyelid surgery results are achieved through careful planning during your consultation and pre-surgery. Tightening the eyelid can restore an attractive almond shape to the eyes while meticulous attention to surgical detail can avoid a “hollowed” appearance. Blepharoplasty can also correct droopy upper eyelids, puffy eyelids and bags under the eyes to improve your appearance, vision and self-confidence. The incisions made during blepharoplasty can also allow access to your cheek, brow, and mid-face area so that ancillary procedures may be performed at the same time as your eyelid surgery if you wish. Dr Barnouti can offer suggestions to other possible surgical procedures if you wish but our main concern is to listen to your needs, help you make the right decisions and meet your expectations. The cost for upper eyelids surgery is from $2,900. the cost for lower eyelids surgery is $6500. What will happen during my eyelid surgery consultation? We encourage you to bring your partner, a family member or friend to your initial eyelid surgery consultation if you feel they can help you to make a decision about how to proceed. During your eyelid surgery consultation, Dr Barnouti will take your full medical history, so please check your medical records so you have all the necessary information. During your consultation, you will need to tell Dr Barnouti if you have any allergies, whether you are taking any vitamins, prescription or over-the-counter medication or other drugs, and if you smoke. You should also provide any relevant information from your ophthalmologist or records of your most recent eye exam. If you wear glasses or contact lenses please bring them along with you. You will be asked to talk about your goals and expectations for the surgery and Dr Barnouti will examine you and discuss your lifestyle in detail to see if you are a suitable candidate for eyelid surgery. The best candidates are people who are physically healthy, psychologically stable and realistic in their expectations. A few medical conditions make blepharoplasty riskier, including thyroid problems such as hypothyroidism and Graves’ disease, dry eyes or lack of sufficient tears, high blood pressure or other circulatory disorders, cardiovascular disease and diabetes. A detached retina or glaucoma is also a reason for caution. If you are a suitable candidate, Dr Barnouti will discuss in detail if all four eyelids will be operated on or just the upper or lower eyelids, whether skin as well as fat will be removed, or transposed to another area, and whether you would like to undergo any additional procedures during your eyelid surgery. To find out if eyelid surgery is right for you, book a consultation with Dr Barnouti in Sydney today. If you are having all four eyelids worked on Dr Barnouti will perform surgery on the upper eyelids first followed by the lower eyelids. In a typical eyelid plastic surgery procedure, Dr Barnouti makes incisions that follow the natural lines of your upper eyelids, normally in the creases of your upper eyelids. Incisions for lower eyelid surgery are made just below the eyelashes or inside the conjunctiva which is the inner surface of the eyelid. Working through these incisions Dr Barnouti separates the skin from underlying fatty tissue and muscle, removes or transposes excess fat and often trims away sagging skin and muscle. The incisions are then closed with very fine sutures and the final scar is virtually undetectable eight weeks after surgery. The eyelid surgery procedure usually takes between one and two hours depending on the extent of the surgery but we will be able to discuss this with you during your consultation. After eyelid plastic surgery your eyes will be lubricated with ointment. Your eyelids may feel tight and sore as the anaesthesia wears off but any discomfort should be controlled with the prescribed pain medication we will give you. If you feel any severe pain following your surgery you should call our practice or Dr Barnouti on his mobile directly. You will need to keep your head elevated for several days after eyelid surgery and use cold compresses to reduce swelling and bruising. Bruising varies from person to person but usually reaches its peak between three or five days after surgery and can last anywhere from one week to two weeks. You will be shown how to clean your eyes as they may feel gummy for few days after surgery. Occasionally, we may recommend eye drops, as your eyelids may feel dry at first and your eyes may burn or itch. For the first few weeks after eyelid surgery, you may experience excessive watering of the eyes and sensitivity to light. Your progress will be followed very closely for the first two weeks and the stitches will be removed five days after eyelid surgery. Once the stitches have been removed the swelling and discolouration around your eyes will gradually diminish and you’ll start to look and feel much better. How soon can I go back to work and resume normal activities? You should be able to read or watch television 48 hours after your surgery but you won’t be able to wear contact lenses for approximately two weeks. Most people feel ready to go out in public and back to work three to seven days after surgery. You will need to keep your activities to a minimum for three to five days after surgery, and avoid strenuous activity for about two weeks. It is particularly important to avoid activities that raise your blood pressure, including bending, lifting, and rigorous sports. You may also be told to avoid alcohol, as it causes fluid retention. Total cost of upper eyelid reduction surgery: $3,350 – $3,900 (including surgeon fee, assistant surgeon fee, anaesthetist fee, hospital, operating theatre and all follow up visits). Medicare and/or Private health insurance may refund you a portion of the cost if applicable. Total cost of lower eyelid surgery: $6,500 (including surgeon fee, assistant surgeon fee, anaesthetist fee, hospital, operating theatre and all follow up visits). Total cost of upper eyelid reduction and brow lift package: $8,500 (including surgeon fee, assistant surgeon fee, anaesthetist fee, hospital, operating theatre and all follow up visits). Medicare and/or private health insurance may refund you a portion of the cost if applicable. Includes facelift, neck lift, fat injection, upper eyelid, lower eyelid surgery, brow lift and skin resurfacing or rejuvenation with TCA peel or Laser. Total cost of total facial rejuventaion: $19,500-$21,900 (including surgeon fee, assistant surgeon fee, anaesthetist fee, hospital, operating theatre and all follow up visits). 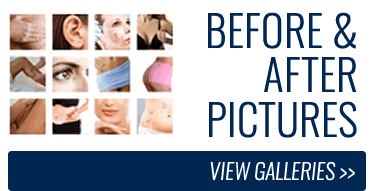 Visit our eyelid surgery gallery. Or book a consultation with Dr Barnouti who will advise you on the best approach and expected outcome for your eyelid surgery procedure during your initial consultation at one of his three Sydney clinics.